I have organised this post for you to imagine walking the route clockwise. There is no practical reason I can think of to go one way or another, but I like to start this way as I prefer the first third of the walk and will not be too disappointed if the weather changes and I need to go back the same way I have already walked. 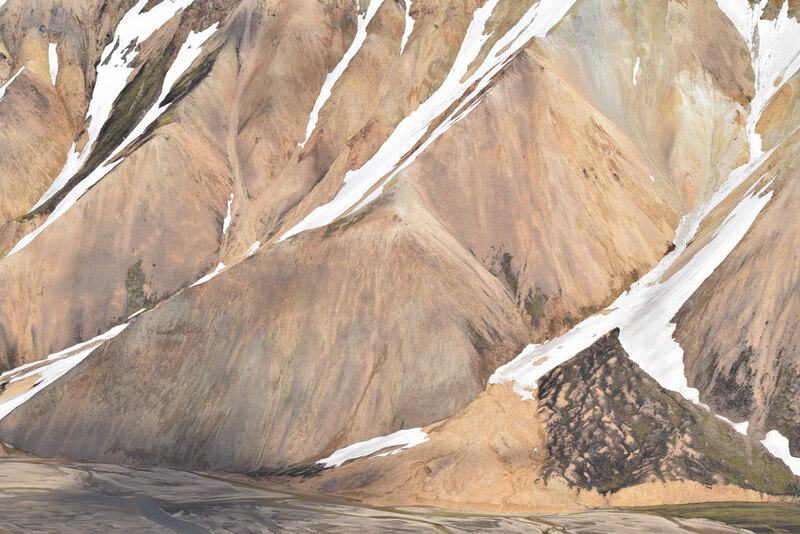 I don't understand why people don't get more excited by Barmur; I think it's the most beautiful mountain in the area. 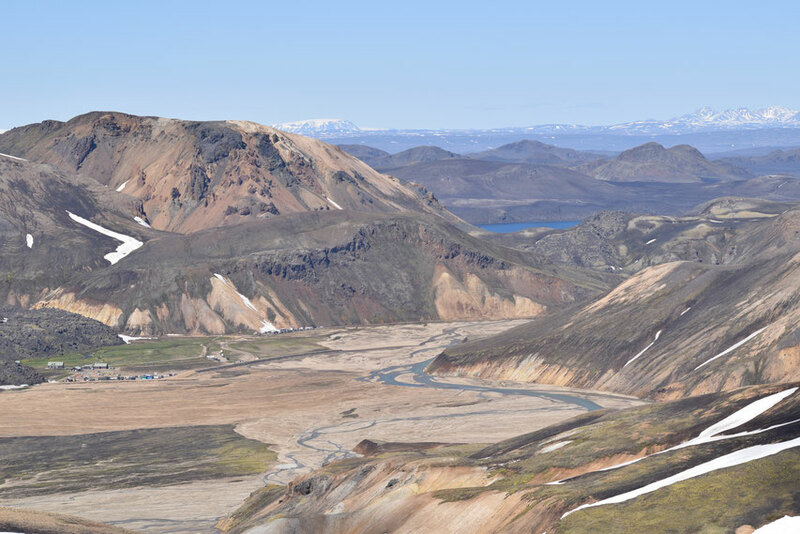 You don't even need to leave Landmannalaugar campsite to see it, but the beginning of the path to Skalli gives a great view further south. 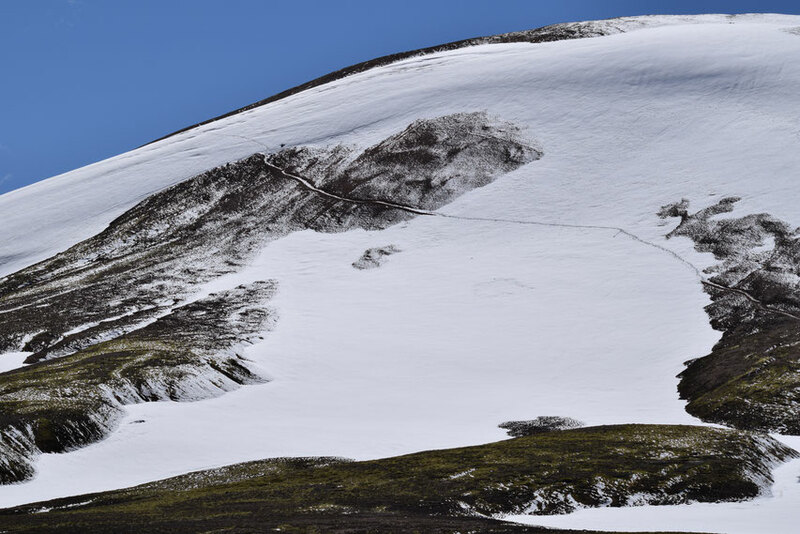 I took the following photos of Skalli (the mountain itself) in late June this year — you can see how the limited foot traffic has cut a path into the snow. 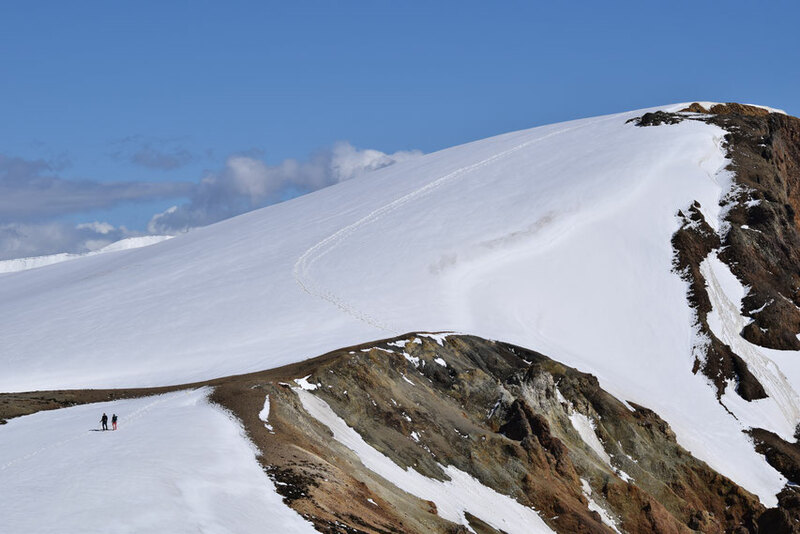 It is not uncommon for fresh snow to fall at this altitude until early July or a warm day to melt the existing tracks; in these cases you will need to rely upon a GPS or good navigation skills (on a clear day). 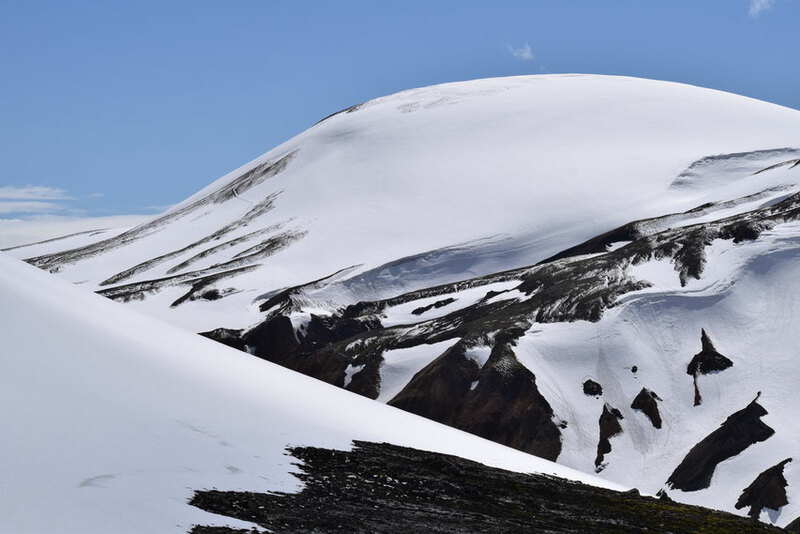 The photos below give an impression of the difference in snow-line over the season. 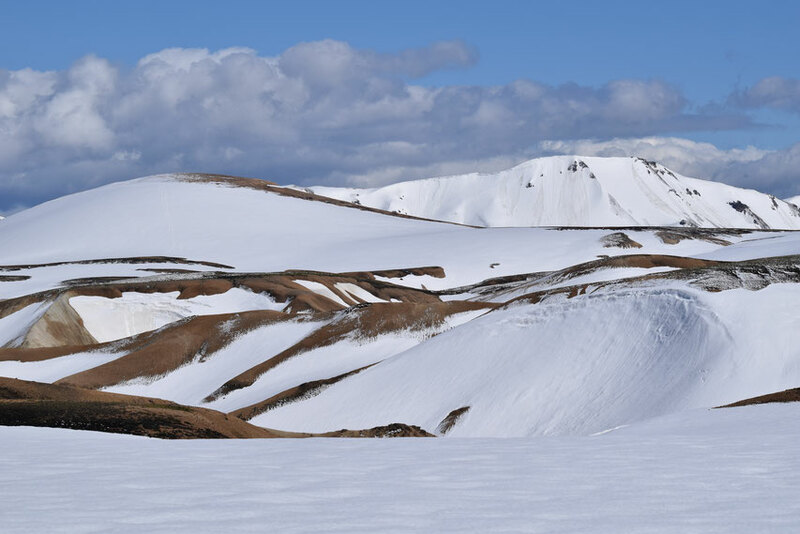 The trickiest part of the hike is usually skirting around Skalli itself. 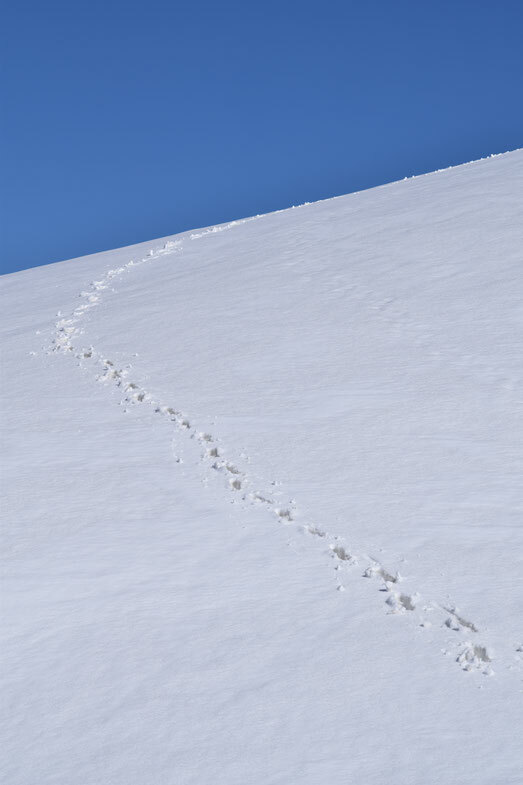 In icy/snowy conditions, the angle can feel quite steep and you must kick your feet in to make places to step. Later in the season this is not a problem at all and the path is quite easy. Walking around Skalli in late June. 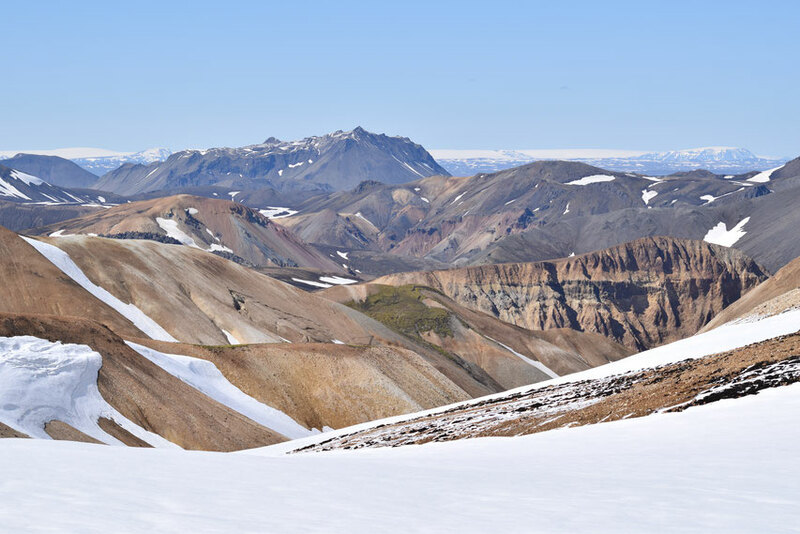 Coming back from working in Hrafntinnusker via Skalli in fog — July. 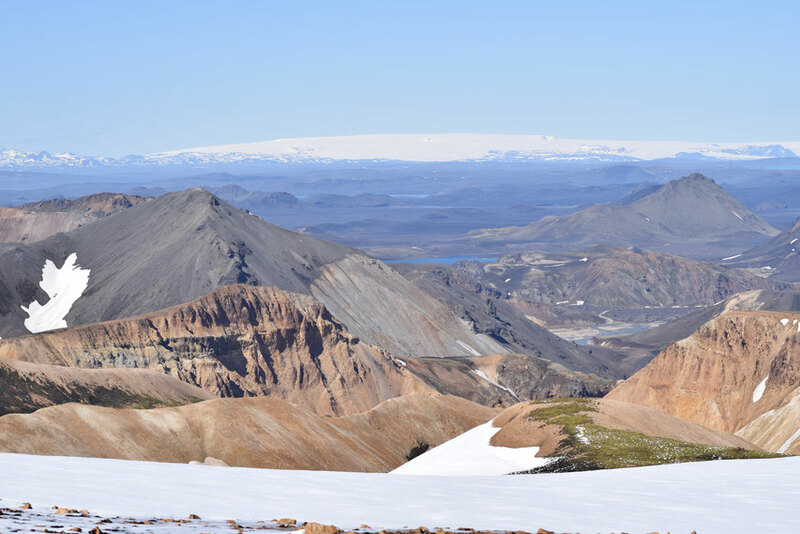 Coming around Skalli, you will get great views of Torfajökull glacier on a clear day. Freshly fallen snow in late August. 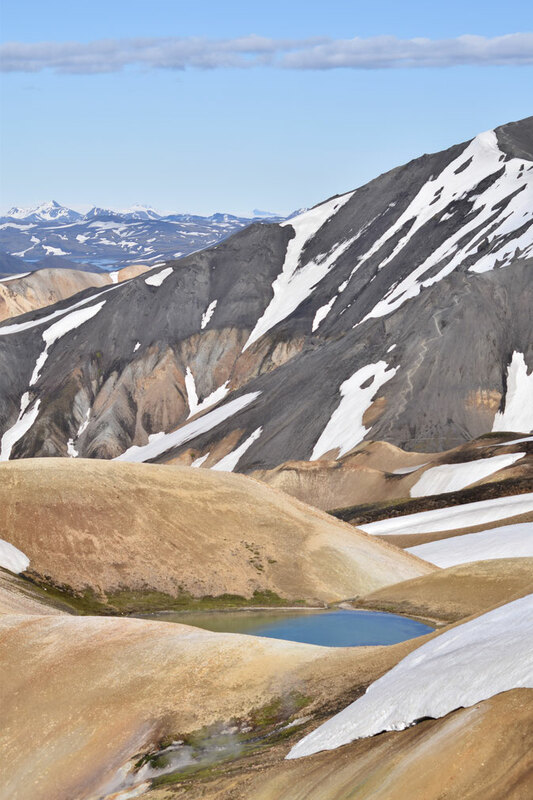 Once you have passed Skalli, the path runs west overlooking Jökulgilsbotn (the beginnings of Jökulgil – the valley that runs all the way to Landmannalaugar). 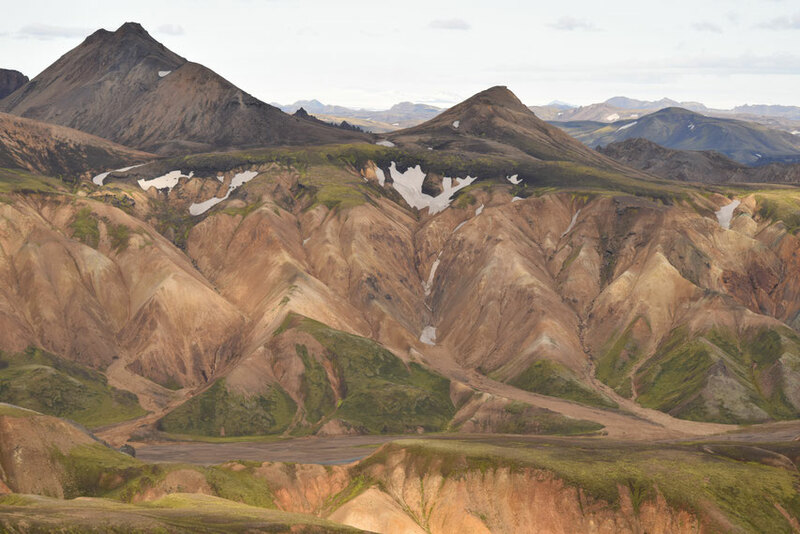 You will then come down to a long plateau, which eventually leads back to the Laugavegur path. Coming down to the plateau. Even on this brilliantly sunny day near the end of June, I was pleased to have a GPS with me. 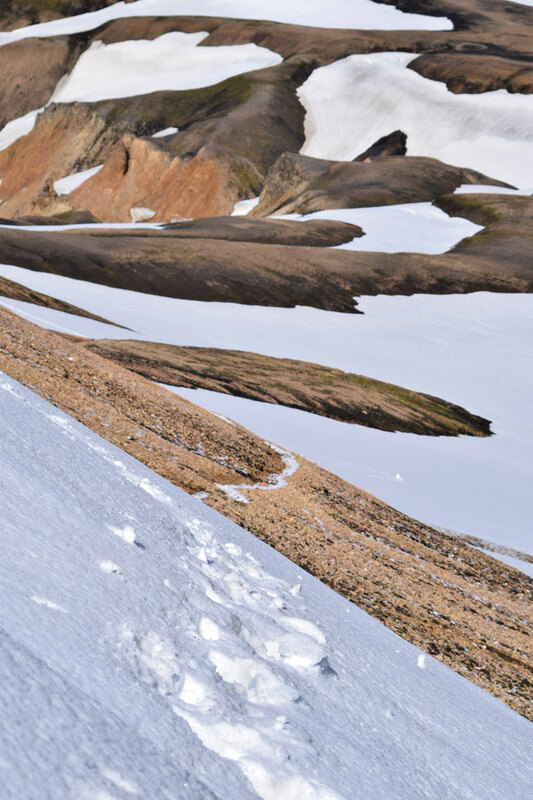 It was not possible to follow markers on large portions of the trail and although I had hiked this loop several times before, the path from Skalli back to the Laugavegur trail is counter-intuitive. 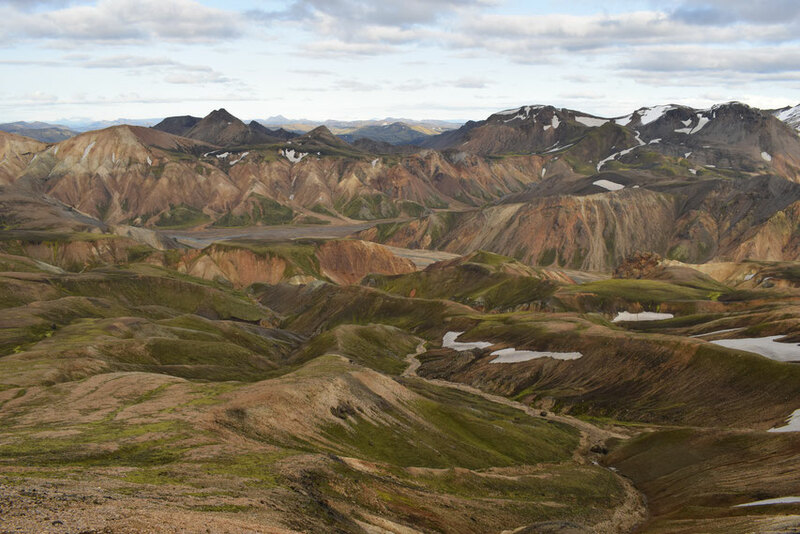 You see Bláhnúkur to your right (north) and imagine that you must go towards it, but the actual route carries on much further west. 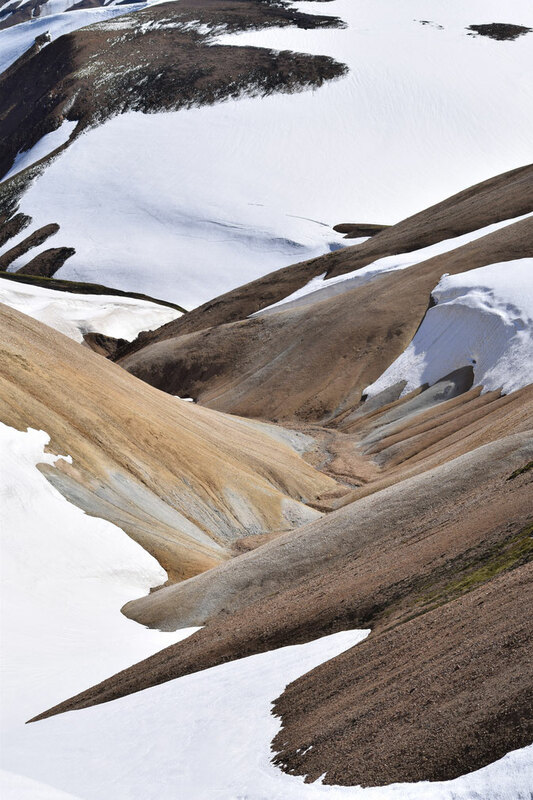 This section of the hike is flat and can feel like quite a slog when there is still a lot of snow or the ground is very wet. 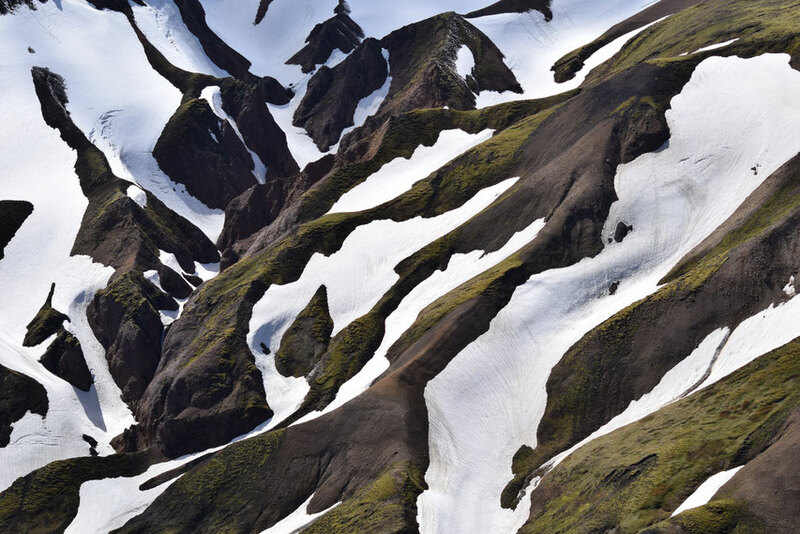 The final third of the Skalli hike follows one of the more dramatic sections of the Laugavegur. 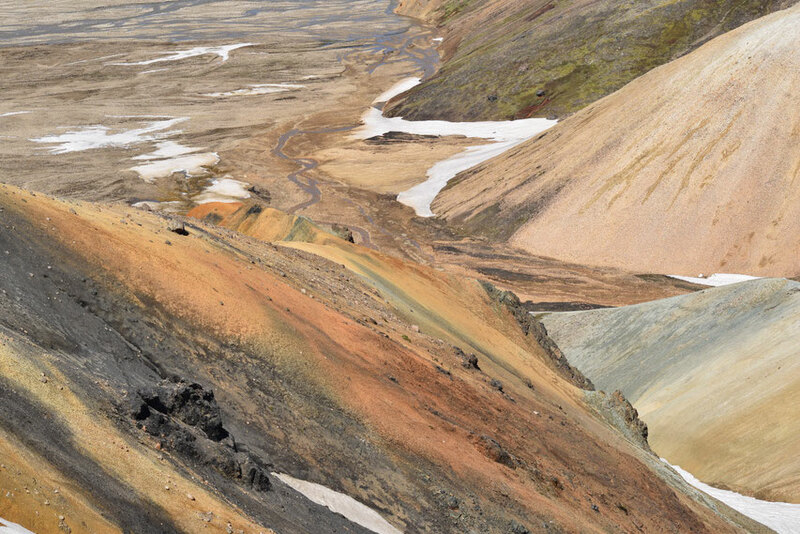 You will see plenty of geothermal activity, steam vents, colourful rhyolite mountains and finally shiny black obsidian in the lava field just south of Landmannalaugar. 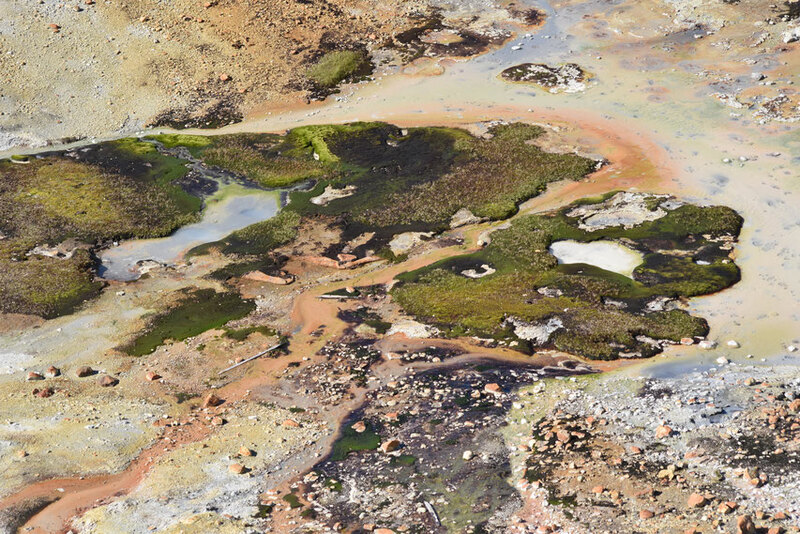 Geothermal activity and moss seen from the Laugavegur. You should bring these things to Landmannalaugar and carry them with you if you are too warm to wear them. The weather can change quickly. Walking boots and comfortable socks. Layered clothing on top including a base layer, jumper/fleece and windproof outer shell. 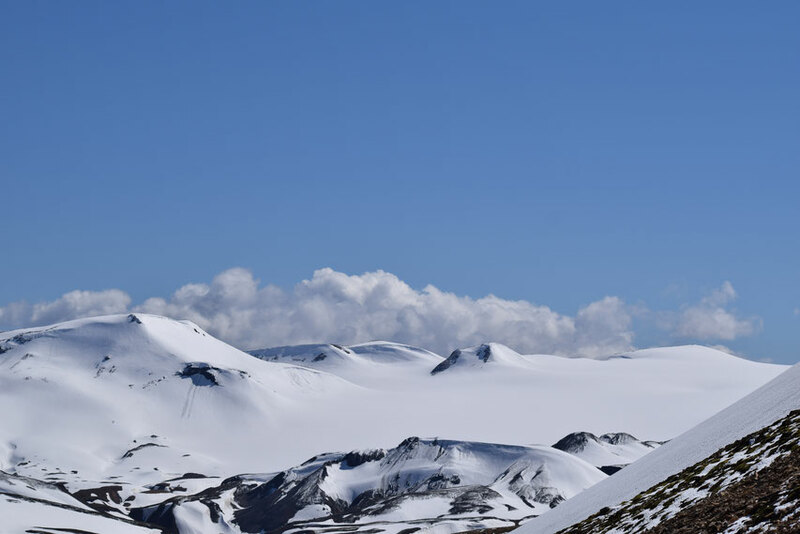 Trousers you feel comfortable in - hiking trousers are obviously best and jeans are not recommended as they become very cold and heavy when wet. 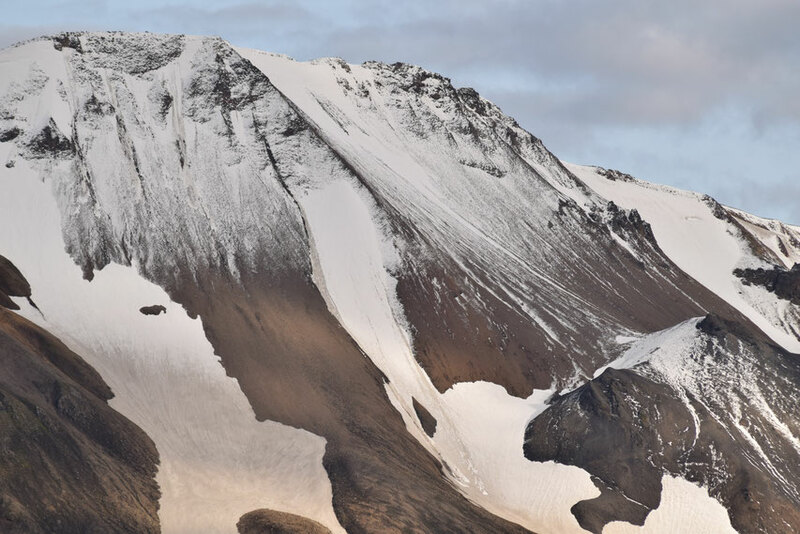 Wear long thermal underwear if you are often feeling cold in Iceland/when hiking, late in the season (the end of August/September) or if you just prefer to. 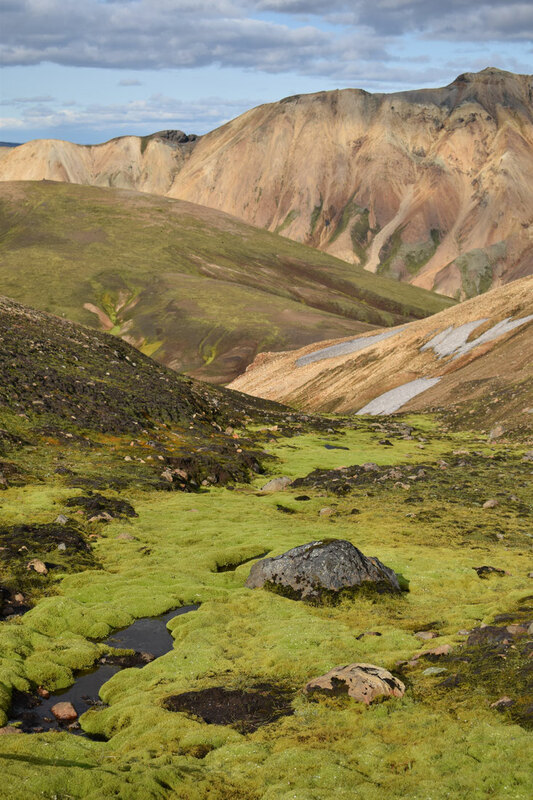 A water bottle of some sort (you can refill it at Landmannalaugar and again in a small stream along they way (once most of the snow has melted). I would carry at least one liter. A dry-bag or plastic bag to keep your things dry if it rains. 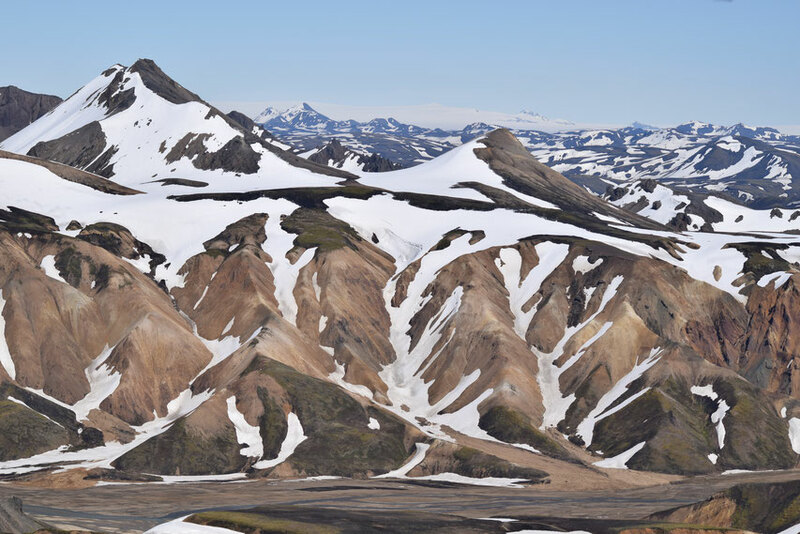 A map of some sort (visit the Information Office at Landmannalaugar). 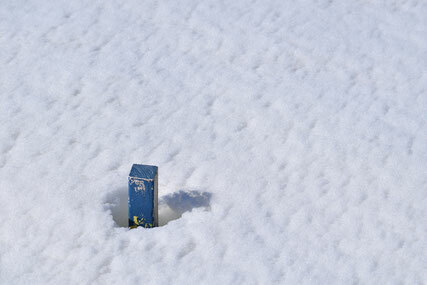 A GPS device (loaded with the route) will allow you to walk the route earlier in the season or in less clear weather. One of my favourite photos from this summer. 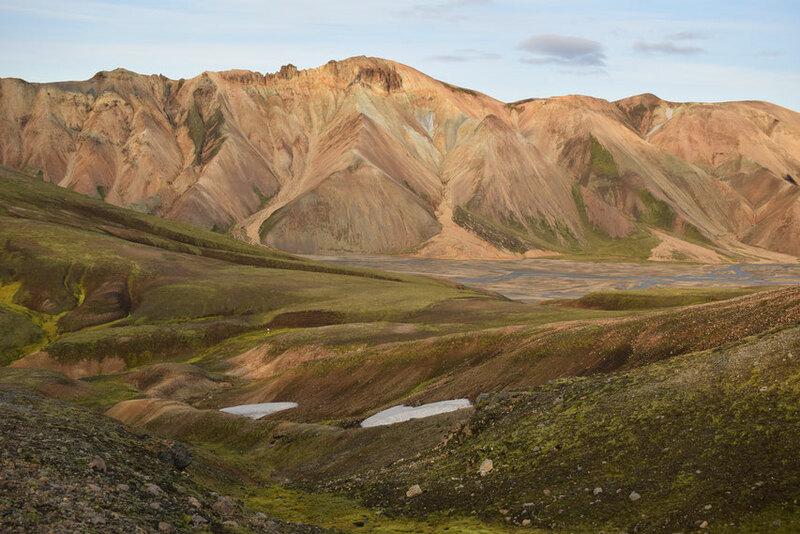 I also have written about the shorter day hikes around Landmannalaugar. 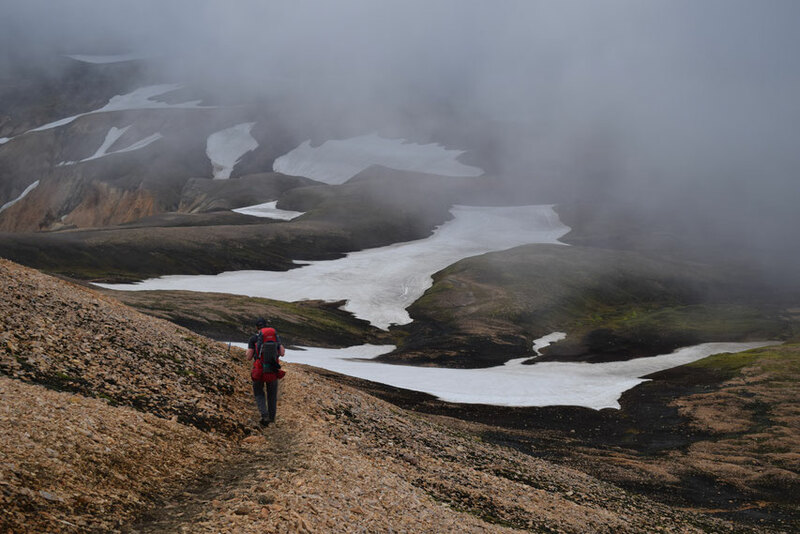 Last year I also wrote about my time as a volunteer in Þórsmörk and how I fell in love with the Fjallabak nature reserve.